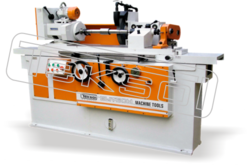 We have in store for our valued clients a wide assortment of Blade Grinding Machines. These versatile machines are sturdy and can be operated very easily. These are used for grinding candy and toffee wrapping machines paper cutting blades easily. HEAVY DUTY robust base structure and slides with excellent Rigidity and capable to handle heavy jobs. 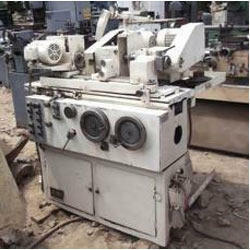 Backed by rich industry experience, we are engaged in providing a premium quality range of Grinding Machine. Our competency lies in manufacturing, trading, exporting and importing an optimum quality ambit of Grinding Machine Tool. We are the manufacturer of centerless grinding machines guide stand. size : 06mm to 150mm. length : max 06 mtr. Avail from us a range of Arbour Thada, which is known for easy installation and low maintenance. Acting as input is Worm Acting, a cylindrical spiral groove. The output is the Worm Gear (or worm wheel) that is mounted on the input. These are available in various customizations of shapes, sizes, standards and dimensions.